fact & fancy: Almost ready! Your floor pattern is outstanding! The floor looks fantastic. Can't wait to see the whole space. Congratulations and best wishes for a fantastic show! 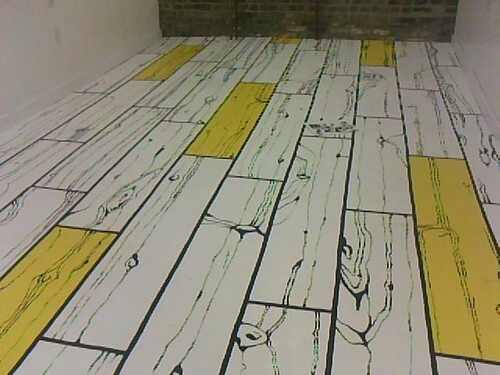 The floor looks A-MAZING!! Did you paint it all freehand yourself?